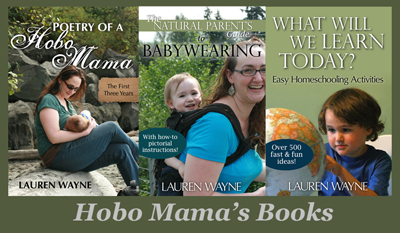 Hobo Mama: National Novel Writing Month is coming: Are you with me?! National Novel Writing Month is coming: Are you with me?! National Novel Writing Month is coming upon us. Starting Nov. 1, adventurous souls across the world will be writing 50,000 words of fiction in 30 days. I completed my first novel last year, and it's a high that's still going strong. So if you're a person (like me) who has a stack of unfinished novels (it could be a figurative stack, if it's on your hard drive), take this opportunity to power through and become a novelist. Go to NaNoWriMo.org to sign up or find out more, and use the last week or so of October to prepare. By that I mean, maybe think about a plot, but mostly just enjoy your last days of freedom! I realize November is also NaBloPoMo, but I can't do both and function as a reasonable facsimile of a human being. If you can, more power to you. All right, back to your regularly scheduled parenting blog. Just wanted to make sure no one was missing this super fun, super irrational opportunity! Ak! I missed this post. I'm behind on everything (as I pick up new activities like knitting to make myself even busier!). I really want to take on this challenge, but I feel so swamped! I keep feeling the need to write this novel that's been poking around in my brain for the last several years. But now is NOT a good time! 1. On the one hand, there's never a good time to write a novel. That's kind of the point of NaNoWriMo, to use group pressure and cameraderie to get you to do something you'd otherwise never get around to. I started NaNoWriMo almost a week late last year and still made it to the end in time. 2. I'm all about encouraging balance (as one of my latest posts can attest), so if doing NaNoWriMo would be harmful to you or prevent you from doing the other things you want to do this month, then it's not worth pressuring yourself over it. If you're on a wave of knitting, then maybe it's the time for you to keep riding that. So there you are. Do it. Don't do it. Your call. It sounds like you've already decided, and I hope that means this month will be more relaxing for you than mine will for me. :) Hope to have you as a writing buddy next year! Yeah, I totally want to do it, just not this month! Maybe if it were January, after the holidays...but I really think the whole group pressure thing would help, and I'm guessing they only do this once a year?